After saving his brother, Jacob Reckless faces death from the fairy's curse burnt into his heart. In search of a cure, he returns to the Mirrorworld where he is reunited with Fox, a beautiful shape-shifting girl. He has one more chance: a golden crossbow with the power to save and destroy life, buried in a dead king's tomb, beneath an invisible palace. Jacob must cross continents,face monsters and men, including a dangerous rival, and learn what it means to stay alive. Why I am lurking on this: I'm a huge Cornelia Funke fan, at least of her mythical YA novels. Thus, I really enjoyed her first Reckless novel, and was looking forward to this since I finished that. Why I am lurking on this: It sounds interesting, and it's gonna be German because I think my boyfriend is going to enjoy it, too. I'm dying to get Earth Girl. It was my WOW many months ago! I love futuristic books! 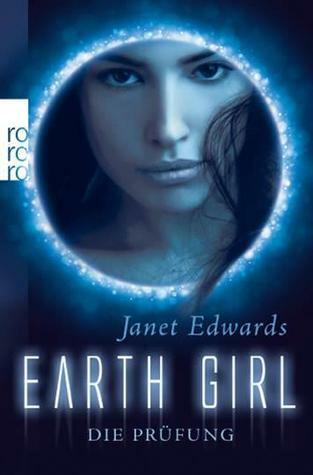 I've read and reviewed Earth Girl and it is freaking brilliant! It was one of my favourite reads this year! Reckless looks awesome too! Yeah I've been waiting for those books too especially earth girl. thanks for stopping by today! Wow Earth girl sounds absolutely amazing! I can't believe I hadn't heard of it before today but I'm looking forward to it now. I'm adding it to my to-read list and I'll be expecting September 1st. Great pick! Thanks for sharing! Oh and I hadn't heard of Reckless before but it sound interesting as well... Great picks! Just added bot of these to my goodreads tbr list! Thanks for the selections and for stopping by our WoW. I haven't heard of these picks but Earth Girl sounds really interesting. I might end up adding it to my own TBR list. Thanks so much for passing by my blog. I may take a while in responding to comments but I do return the favor.